As Otto the construction dog knows, sometimes a pup can have a little too much fun outside. They come back in with muddy paws, and a whole lot of stink. 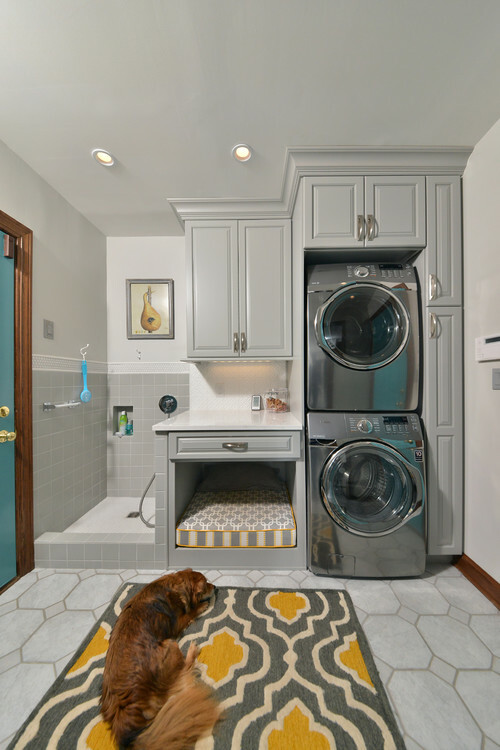 Rather than wrangle them outside with the garden hose, or let them trek through the house to the bathroom, you can opt for a built-in dog bath. If you don’t want to build your own, like this blogger, you can opt to hire a contractor or have it installed in your new home. Where does your dog enter and exit the house? Consider a location that requires minimal traffic through the house, as to ensure minimal mess. 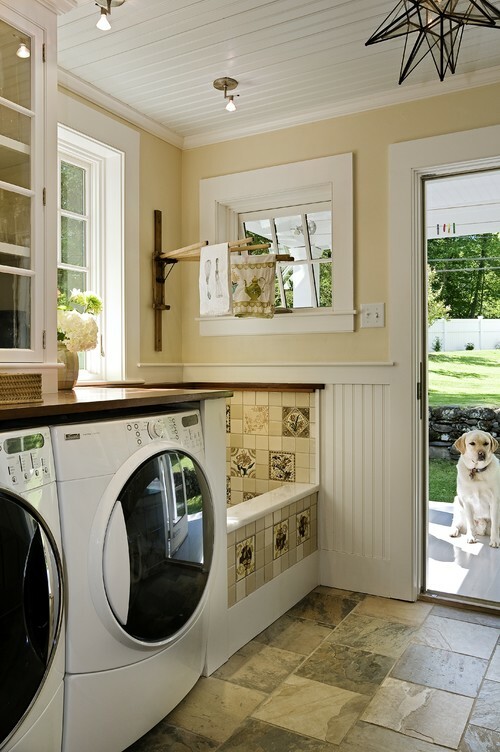 While the dog bath will get your furry friend clean, you’ll want to make the path from door to bath easy to spot clean. Tile or laminate are easy choices, though you can branch out with laminate hardwood floors or stone as well. If your dog likes to squirm, or if you want to wash more than one dog at a time, consider opting for a bigger tub. On the other hand, if your dog is smaller, giving them too much room might inspire play time in the tub. 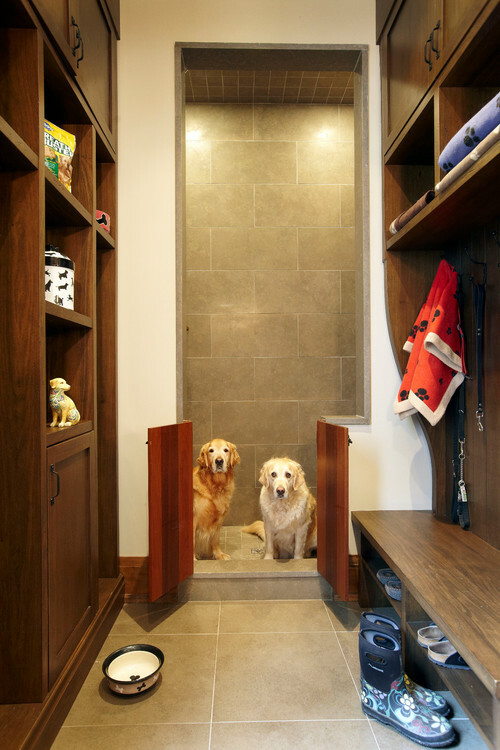 Unless your pup is extremely well-behaved, you’ll want a tub design with a raised edge, or even some type of door. However, one thing to consider is aging pups, and making it easy for them to climb in and out. Plan ahead with storage for shampoo, the right length shower head, shower mats, and a place to put towels.